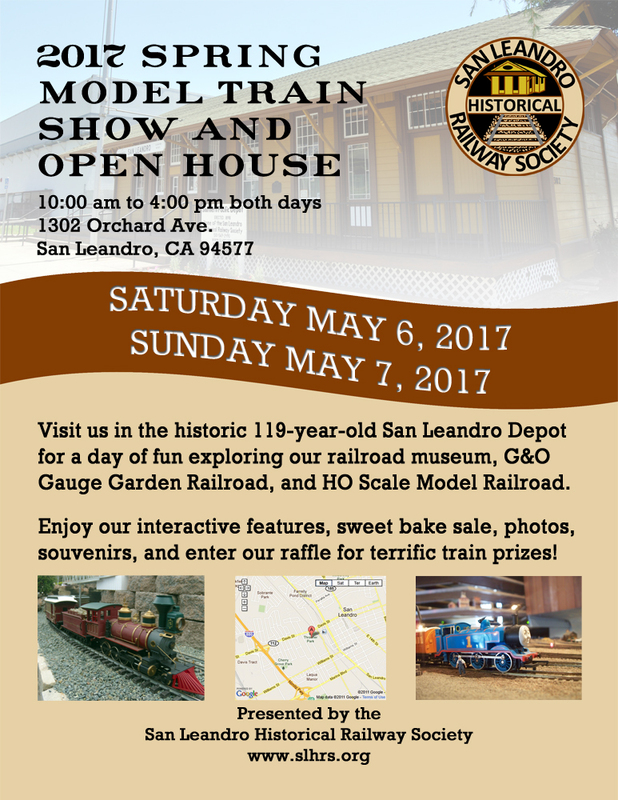 The San Leandro Historical Railway Society is proud to present our Spring Model Train Show & Open House, happening this weekend! 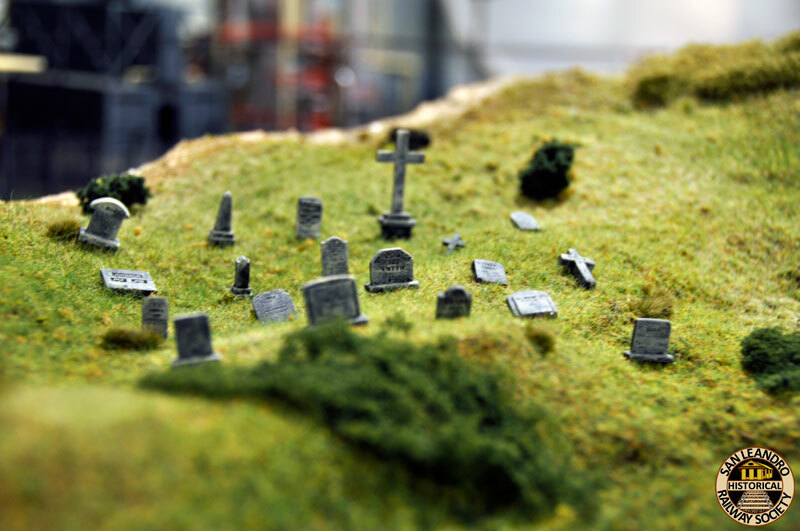 Visitors of all ages are invited to come spend some time with us on our G&O Gauge Garden Railway out back or inside on our HO Scale model display of the Pacific Overland Route from San Leandro to Sparks, NV! 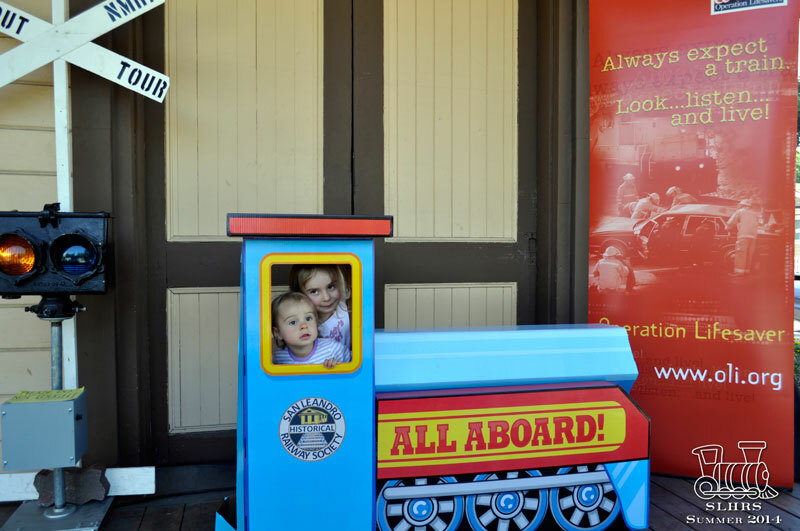 Our Children’s Area outside has lots of fun interactive areas for the kids and our museum has terrific railroad artifacts full of history! 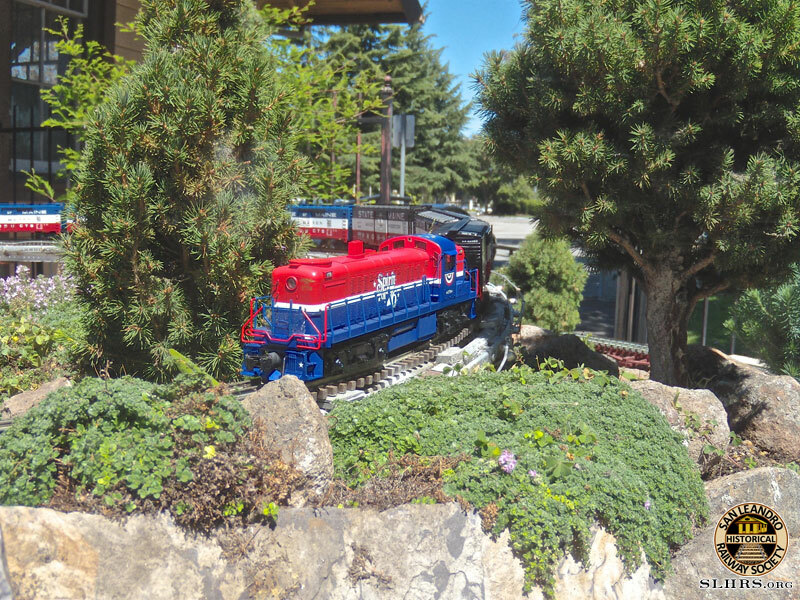 We have the only Garden Railroad open to the public in the Bay Area. As usual, we’ll have a Bake Sale, Raffle for some great trains, we may have some items for sale on the porch, and souvenir photos with a NEW backdrop and props! You’ll be able to tell everyone you know that you went on an adventure! If you haven’t come by since last summer, you’ll also be able to see our fantastic new paint job, bringing back the vivid original colors of our 119-ear-old Southern Pacific Depot! 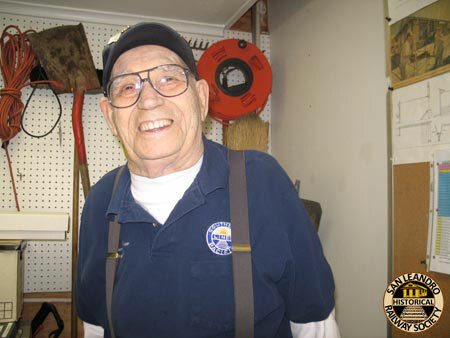 Come on by May 6th & 7th between 10:00 AM and 4:00 PM either day to see what treasures and fun we have in store! Feel free to download our event flyer to share.